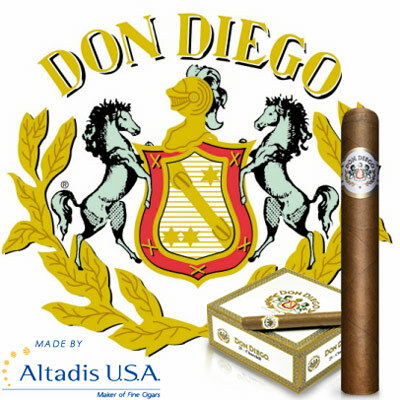 Handcrafted and masterfully blended in the Dominican Republic, Don Diego cigars actually originated from the Canary Islands in 1964, before moving production to the Dominican in 1982. If you are a mild cigar fan, then this silky, Connecticut Shade leaf wrapper and Brazilian/Dominican filler blended cigar is the perfect choice to add to your humidor. With its specially aged hand-picked tobaccos, blending by cigar master-blender José Seijas, and manufactured by one of the largest companies in Altadis USA, this is surely one cigar not to be overlooked or missed.